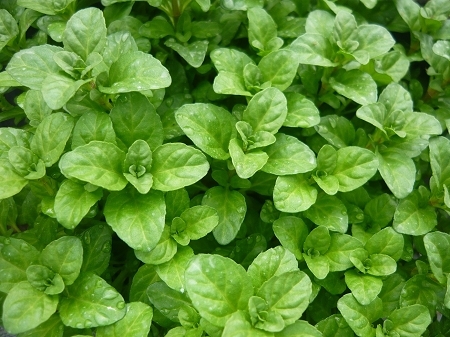 Pennyroyal (mentha pulegium) - English Pennyroyal. Also called squaw mint, or mosquito mint. Aromatic creeping plant in the mint family, lilac flowers when in bloom, quickly fills in problem areas to make a fragrant groundcover. Can grow to about 12" tall. Was once commonly used to repel fleas and other insects. Perennial zones 5-9. Live plant in 3 inch container.